Brenda was born in Washington, DC and raised in Manassas, Virginia. Her first career was as a teller in a local bank when she was 20. From banking, she moved into the retail financing business. After receiving many awards during her successful years there, an opportunity to become a Mortgage Loan Officer came her way. Becoming a top producer in the mortgage business provided a grand learning experience in sales. Later she expanded into working in the insurance,health and annuity sales industry. Brenda moved to Myrtle Beach in early 2013 and became a licensed REALTOR. With her extensive sales and loan officer experience she felt it was a natural fit. Today, she is focused on working with clients who need the understanding and patience of a realtor who has experienced the long distance purchase process, and will serve them well. If you are looking for an honest, loyal and dedicated agent- weather selling or buying, she will be devoted to you. Brenda Collier was the best. Drove me to several condos in the area I wanted. And yes I bought one that day. Two years later I decided to move again so I call Brenda. As I expected she was great again. Definitely on it. Had offers on my place before it was even listed. Love Brenda and her husband Jon. Would recommend them to anyone. Brenda Collier was an amazing realtor. Brenda was very professional and always looking out for our best interest. Brenda sold a home for us and purchased a home with us. Brenda pays attention to detail and I would definitely use her again. She did a great job. Brenda Collier and John are exceptional, Brenda doing all the foot work and organizing, John the superb photography, I have bought two houses and sold one with Brenda and John. The dedication and help were out standing with follow up consistent on all points. 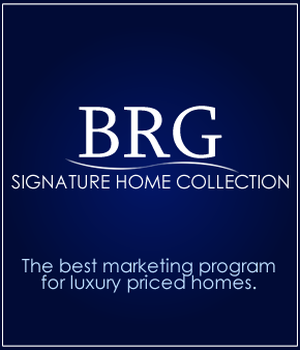 Brenda Collier was our realtor. She was GREAT! Talk about a lady that hustles. She will sell your house quickly, and take the time to find the home you really want. She's honest, caring, and treats you like family. Her husband John is also a realtor and a great person as well. Either one of these team members I would recommend. Another raving fan of Brenda Keener Collier "Our Realtor was Brenda Collier.I can't even begin to tell how great she was to work with.Brenda was helpful,patient,and knowledgeable.Brenda went above and beyond anything I would expect of a Realtor.I felt as if we had a friend here to help us with our move from NJ.I now think of Brenda as a friend.If anyone is looking for a realtor in Myrtle Beach,I can't recommend her strongly enough."